Vista Construction & Remodelling, LLC is a full-service General Contractor Company that offers detailed and multidisciplinary assistance to your residential and commercial development needs. We have a dedicated and passionate team of licensed & insured professionals who strive to consistently provide quality services and deliver client satisfaction. 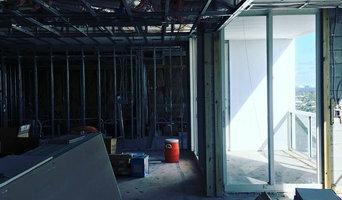 With over 20-years of combined experience catering to developers, builders, and private homeowners, we understand construction and the numerous phases every project demands. Quality is paramount. Here at Paver Man, we are experienced professionals you can trust. We have built a solid reputation in the community for our outstanding attention to detail and superior customer service. Our specialties include interlocking pavers for your driveways and floors, along with brick and stone driveways, patios, walks and steps. We take pride in creating timeless beauty to turn your home into a sanctuary. *Authorized Belgard Contractor* Catalina Creations services all of South Florida. We have many years of industry experience and the knowledge and skills to get the job done the way you want it. We supply to architects, builders, general contractors, and designers with unsurpassed product quality and friendly customer service. Along with a complete product line of balustrades, mantels, mouldings, and fountains, we also offer design consultation with our in-house designers. Our production team is consistently constructing detailed and intricate designs to present to the home or business owner. We work alongside architects, designers, and contractors to make sure all finished projects are high in quality and character. Modern Designs of Counter Tops and Vanity Tops, manufacture and installation. 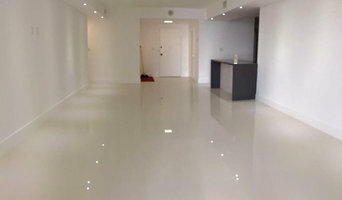 We work with materials Marble, Granite, Porcelain, Glass Tile, Kernites and Mosaics. In residence and Commercial. Hi everyone, are you looking forward to remodeling and beautifying your house? Well, search no longer, Shalom Escobar PAVER Concrete is the solution. Shalom Escobar Pavers is a family company founded by Edgar Escobar on 2010 with the support of his family. "Shalom Escobar Paver Concrete," specializes in the installation, repair, remodeling, maintenance, pressure cleaning and sealing of your brick or stone pavers whether it be from natural to artificially made stones. We do both house interior and exterior. We also specialize in retaining walls and erosion control. We do brick pavers and concrete stamp driveways, pool decks, sidewalks, patios, walkways, steps, walls and more. We also do fencing, painting, roofing and pressure clean houses, roofs, and more. 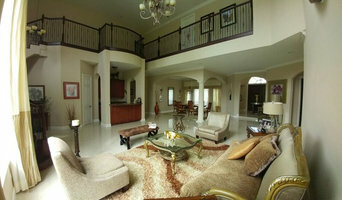 Please view our photo album for samples of our work. Our commitment to you is to help you enhance the appearance of your house as well as to provide you the best services as possible. Please call for a free consultation, estimate and references, or leave a post on our Facebook page and we'll call you to discuss your exact project requirements. Granite and Milwork is a tile, stone, and countertop company servicing Miami, FL and surrounding areas. For discerning clients with refined taste in surface design, we offer superior services ranging from concept creation, design and product supply, to logistics, scheduling and supervision, as is needed for a seamless experience and exceptional results. We take pride in our skill and work tirelessly alongside homeowners, interior designers and home builders on custom and semi-custom projects making sure their their vision is achieved. Our professional team facilitates this process as they offer clients expert guidance and advice gained from decades of artisanal experience passed down through the family owned and operated business. 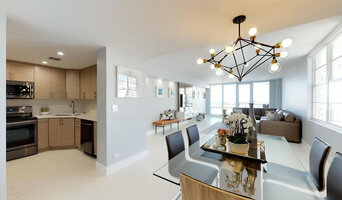 With unique dedication and relentlessness, we guarantee our client's expectations will not only be met, but also transcended as our mission is to continue providing the unsurpassed level of quality we have become renowned for in South Florida since 1971. General Contractor who self performs our work for all our customers to provide high-end designs at a reasonable rate..
Importers and distributors of high end, unique and innovative products to build or renew your home. From gorgeous tiles to dreamy bathtubs, marble slabs, bathroom accessories and more! 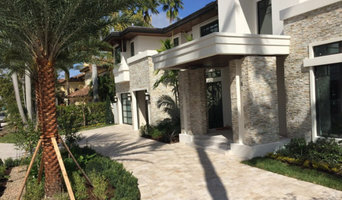 Elements of Stone is a family owned business providing quality craftsmanship and customer satisfaction throughout the South Florida area. Owner Alexis after graduating as an electronics technician and owning a motorcycle mechanic shop in his native Uruguay, began his career as an apprentice installing marble and stone in the South Florida area in 2001. He grew into a talented master craftsman because he works with a vision of the finished project in mind. His meticulous installation style is highly regarded by design professionals and clients. His wife and co-owner Deborah after jobs as Asst. Account Administrator for a South Florida based national company and Assistant to the Owner at a South Florida luxury real estate company, decided to dedicate her time to assisting her husband with day to day operations.